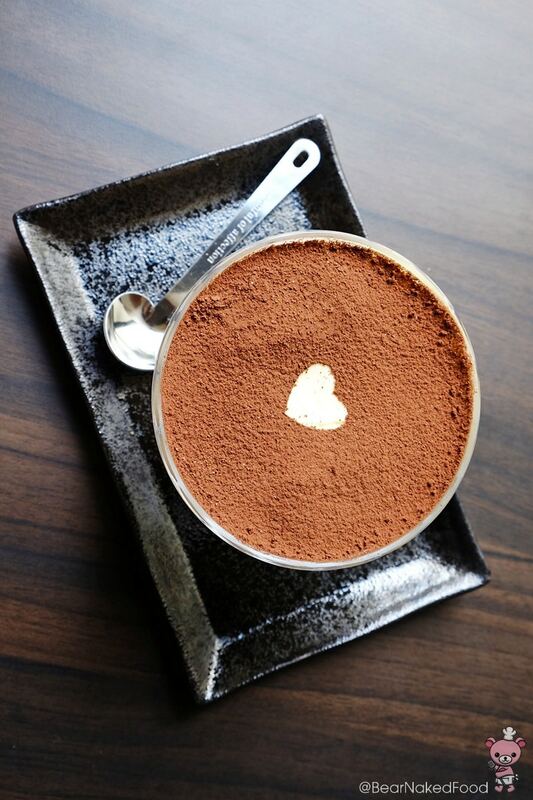 Tiramisu means “pull me up” in Italian. 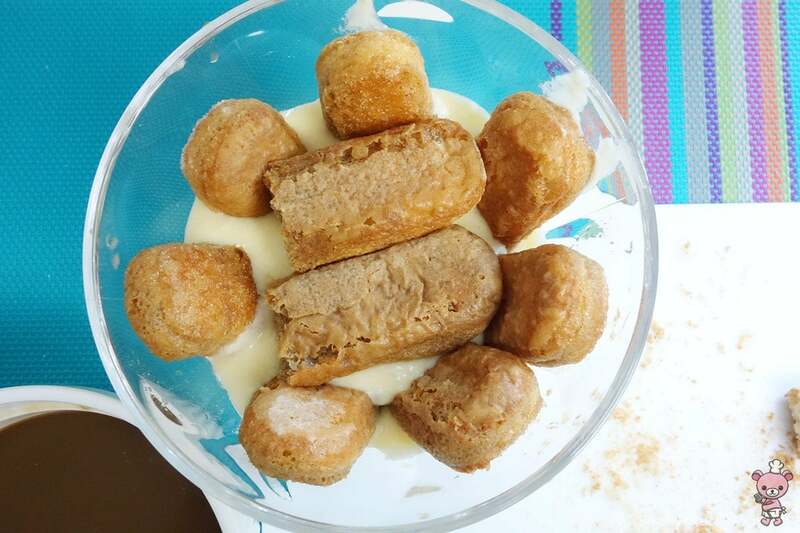 This Italian dessert definitely “pulls” my senses in every positive way. Espresso-soaked Savoiardi (Italian sponge biscuits) laced with a hint of marsala wine, sandwich in between layers of smooth luscious mascarpone cheese, dust with a rich, dark cocoa powder. 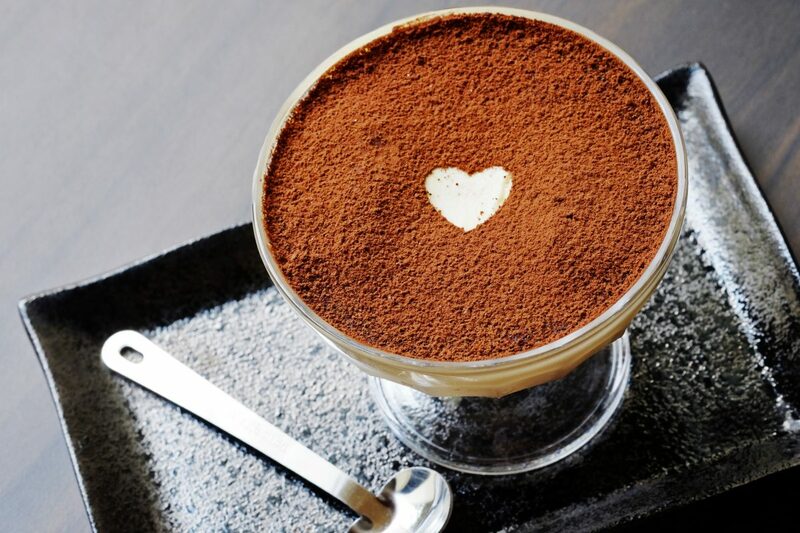 My love for Tiramisu started when I was working as a part-time server in an Italian restaurant about two decades ago (that sounded better than 20 years ago, right??). 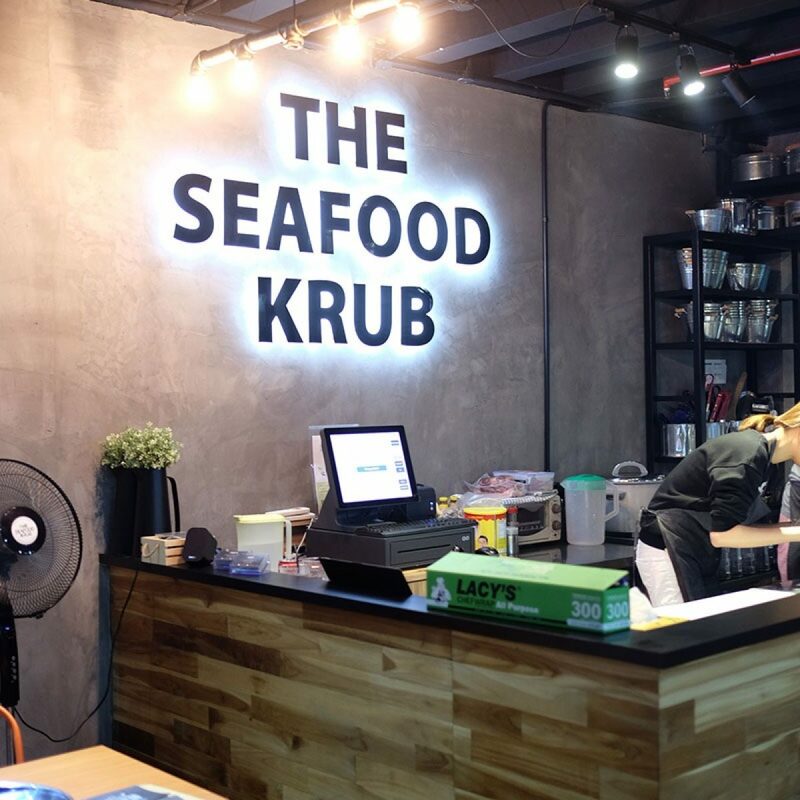 I would go before the start of my shift to watch the chefs prepare their mise en place (pronounce mi zɑ̃ ˈplas) – pizza dough, sauces, desserts, etc. 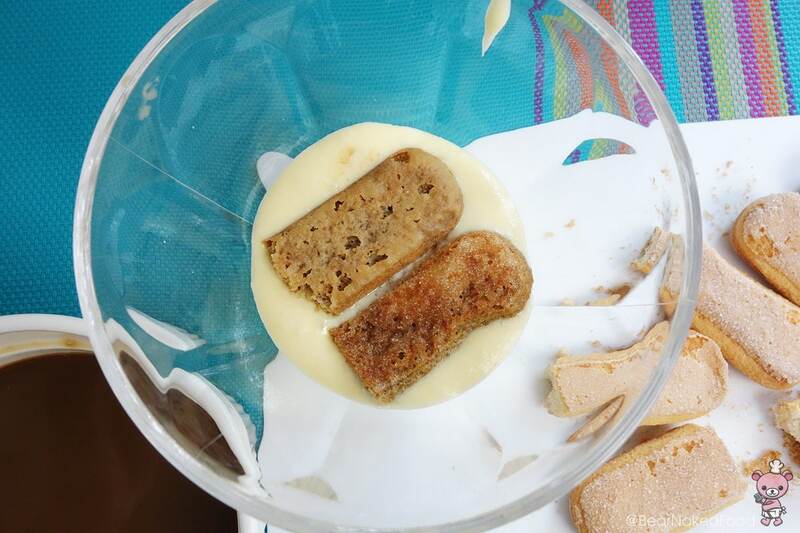 I had the good fortune to actually try some of the freshly made desserts and Tiramisu was one of them. It was love at first bite. When I found out how easy it was to make that, you could imagine how dangerous it was to my waist line. 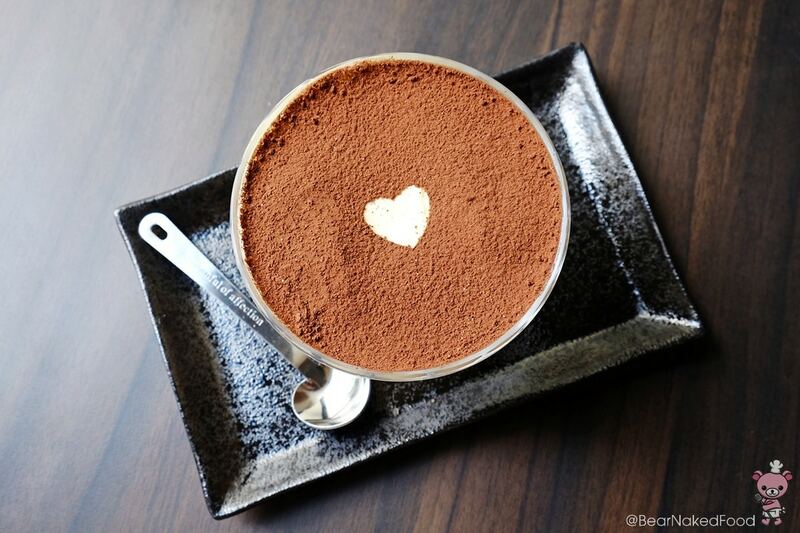 Nowadays, I prefer to make my Tiramisu in a cup. 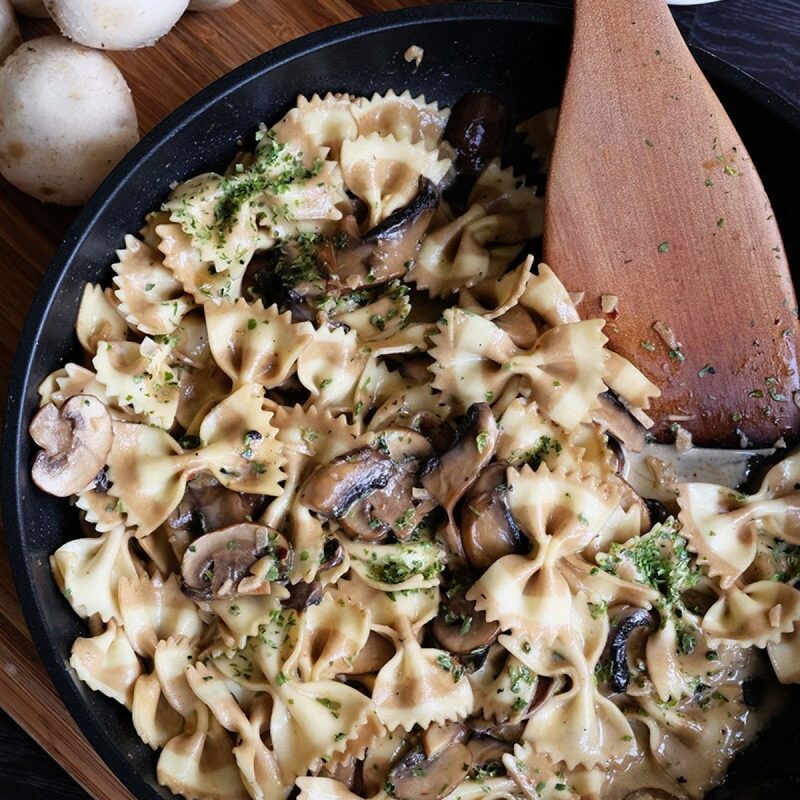 If you prefer to prepare them in a large serving dish, feel free to double or triple the amount of ingredients accordingly. 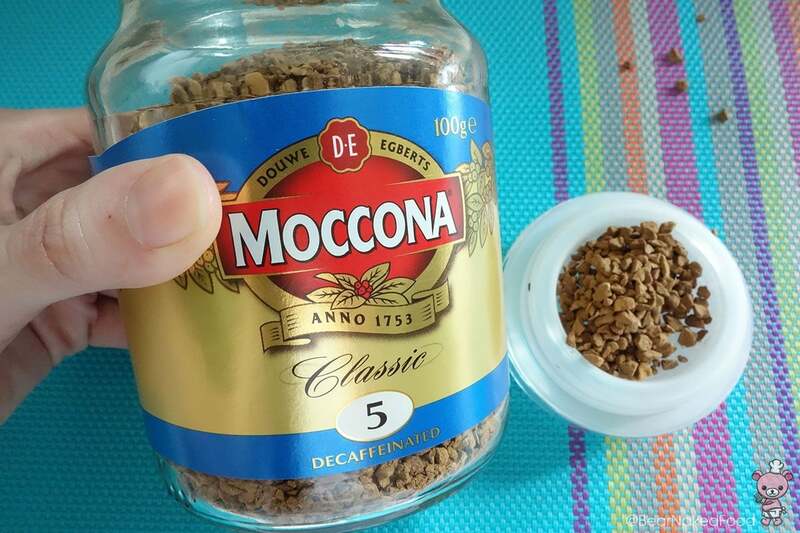 Note: Please use INSTANT coffee granules that dissolves readily in hot water. Alternatively, if you have a coffee machine, use that to make a strong cup of coffee. Add 2 tbsp of liquor into your cooled coffee (if using). 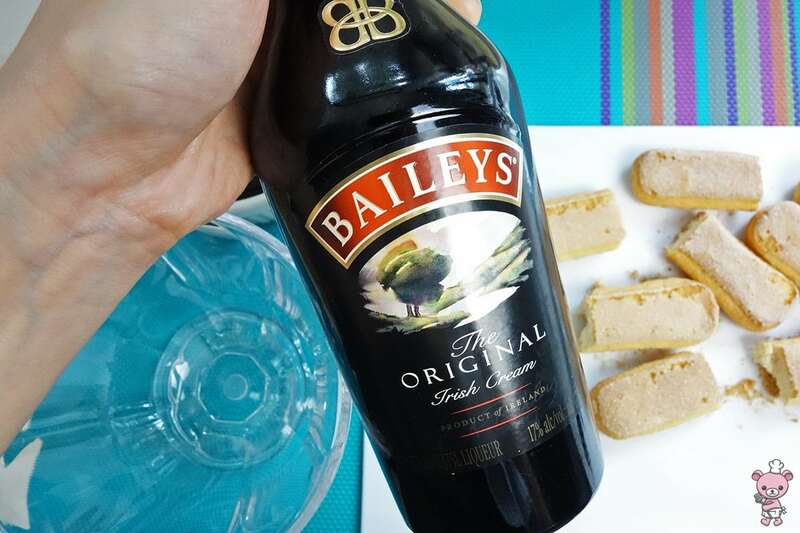 My trusty Bailey’s Irish Cream. 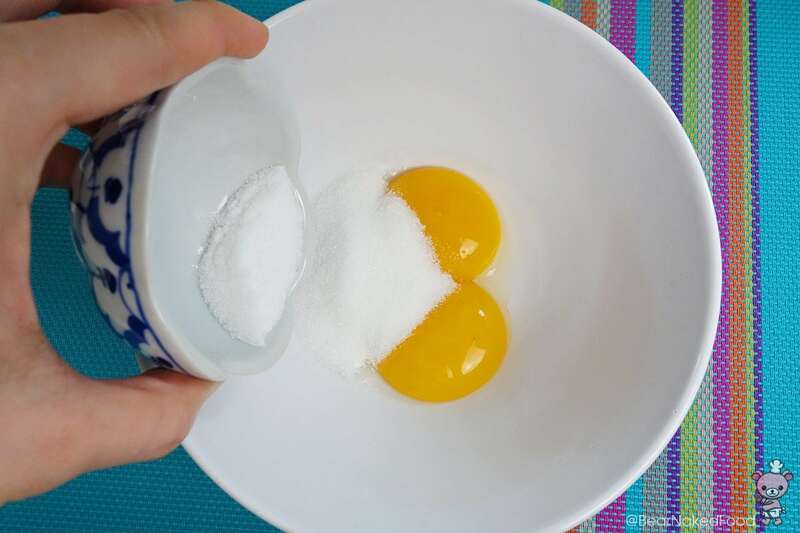 In a medium bowl, add the yolks and sugar together. 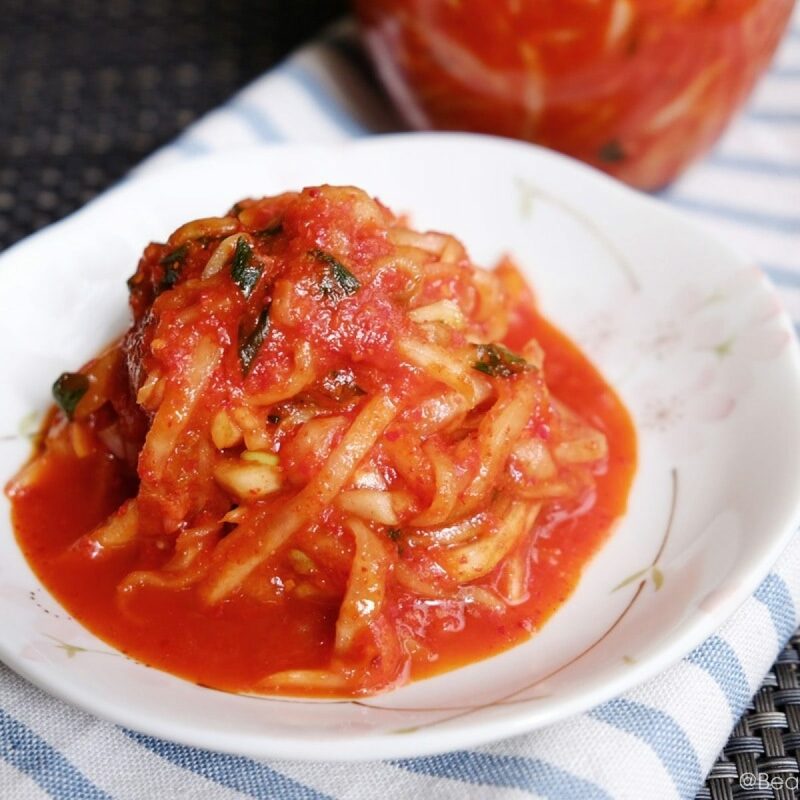 Whisk to combine and set the bowl over a pot of simmering water. 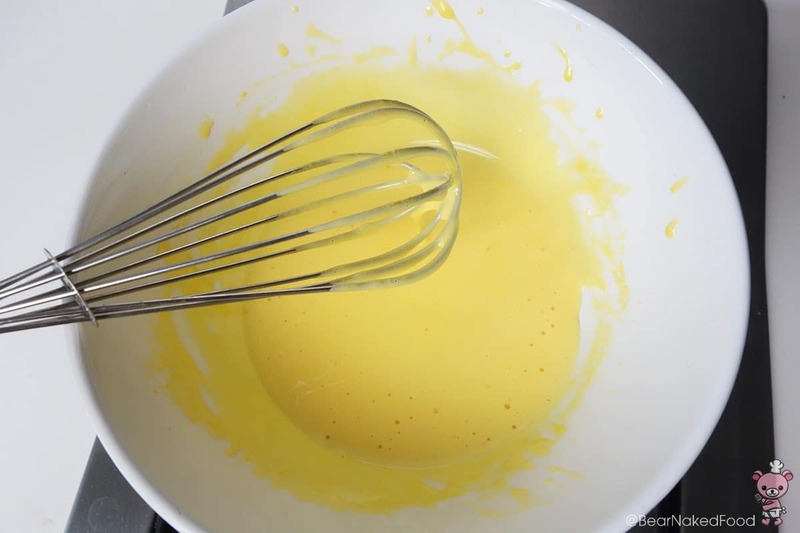 Whisk continuously for 5 mins until the egg mixture turns pale yellow and thick. Remove from heat and continue to whisk for another minute. This is the consistency you are looking for. Add in mascarpone cheese, vanilla extract and mix until smooth. 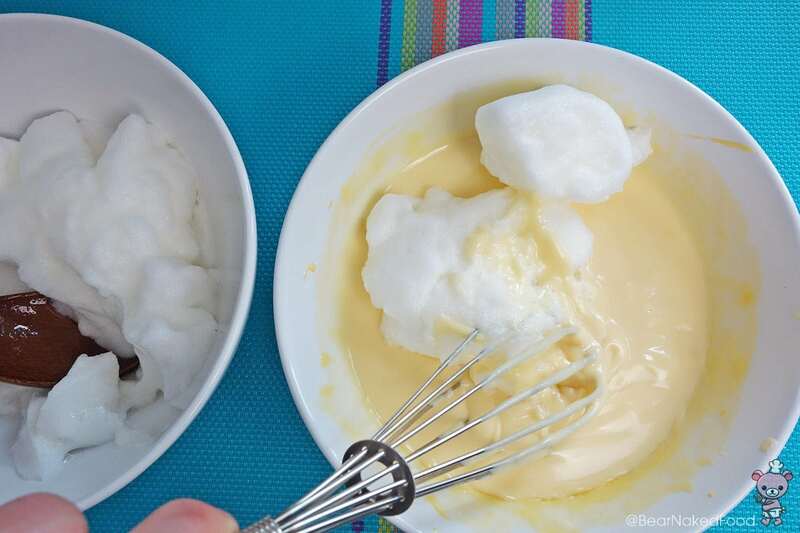 Using a hand mixer or balloon whisk, beat the egg whites and pinch of salt until soft peaks. 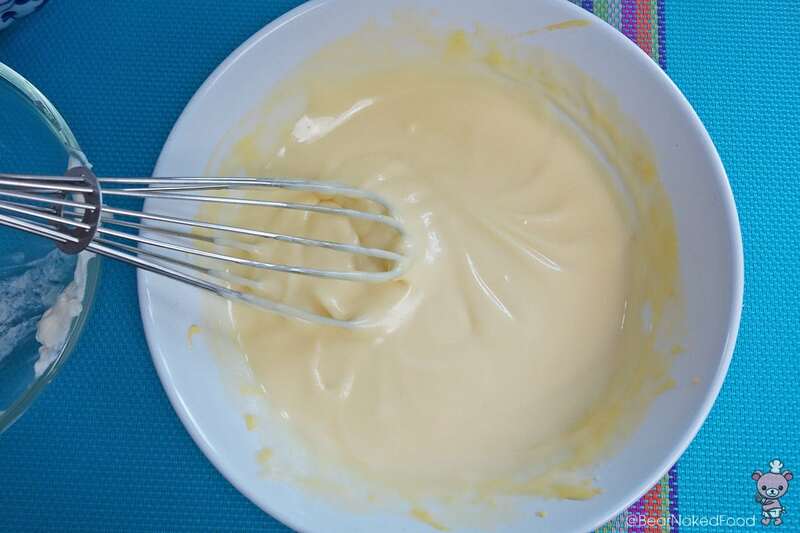 Add half of the egg whites to the mascarpone cheese mixture and gently fold and mix to combine. Use a gentle yet swift motion to fold in the egg whites. Add the rest of the egg whites and repeat same step. 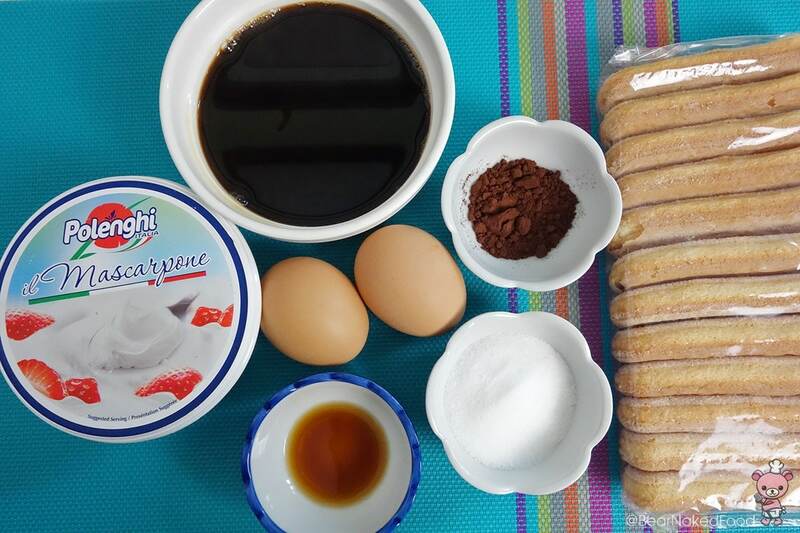 Let’s assemble the Tiramisu. 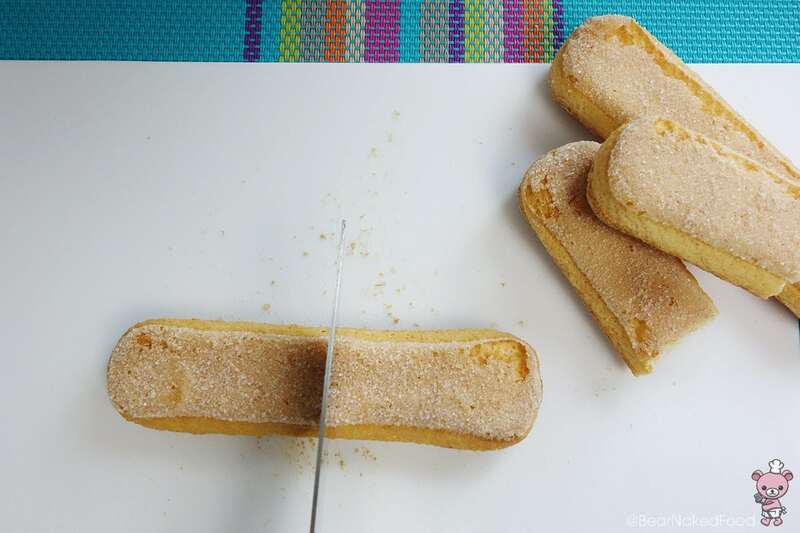 Cut the ladyfingers into half. 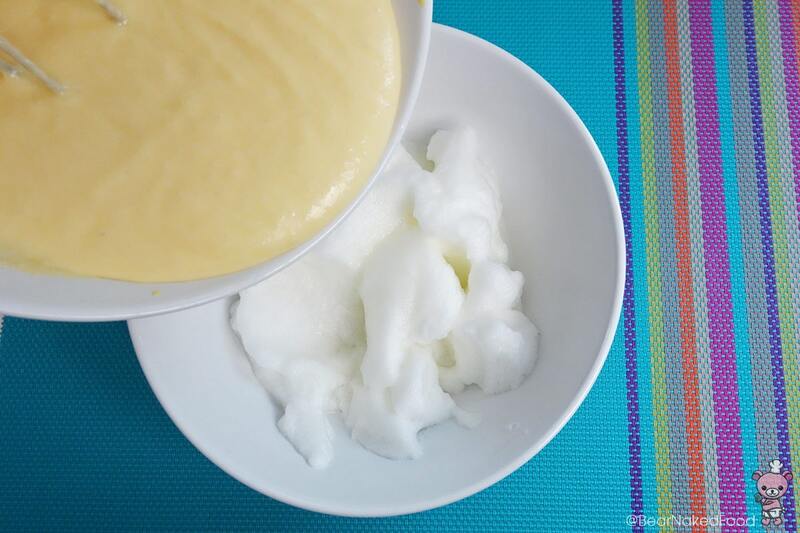 Using a large cup or dessert glass, spoon a dollop of mascarpone into the cup. 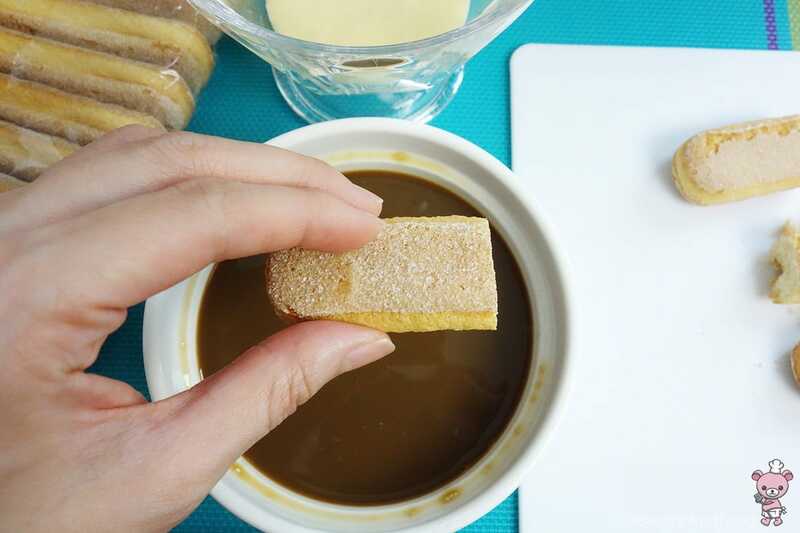 Take two pieces of the ladyfingers and dip it quickly into the coffee mixture (no more than 3 seconds as they will go too soft) and place it into the cup. 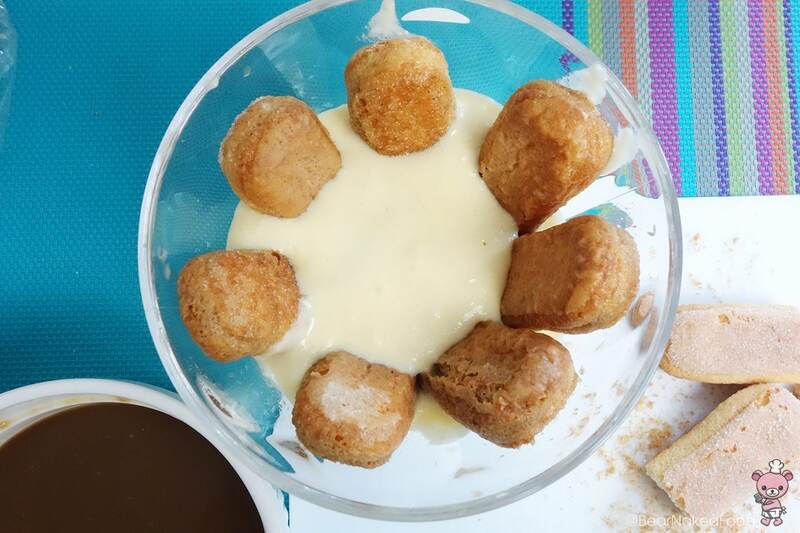 Top with some more mascarpone and add more ladyfingers. 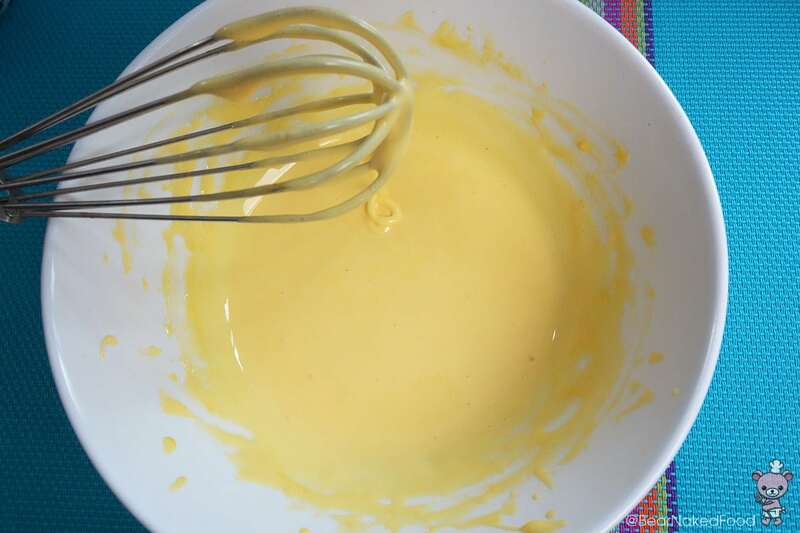 Push them vertically into the cream mixture. Repeat the same step and you should be able to achieve about 3 layers. 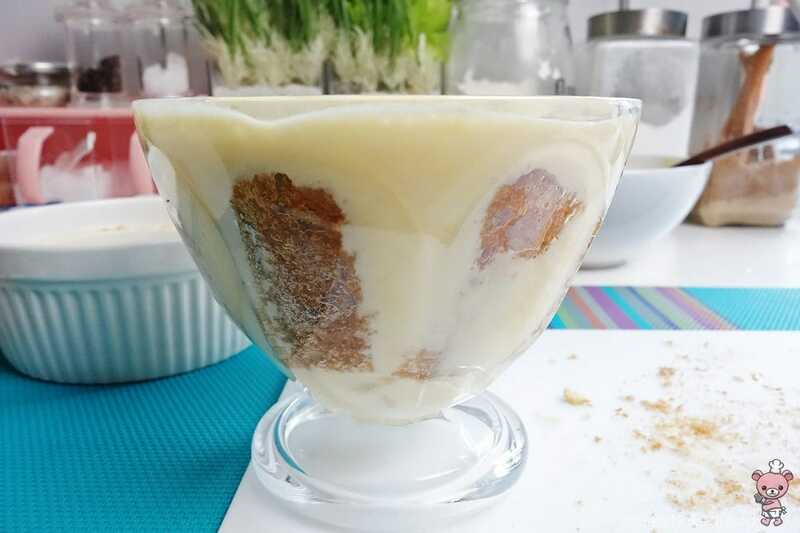 The last layer should be the mascarpone. Cover tightly with cling wrap and refrigerate for 6 hours or best, overnight. The flavor will be combined. 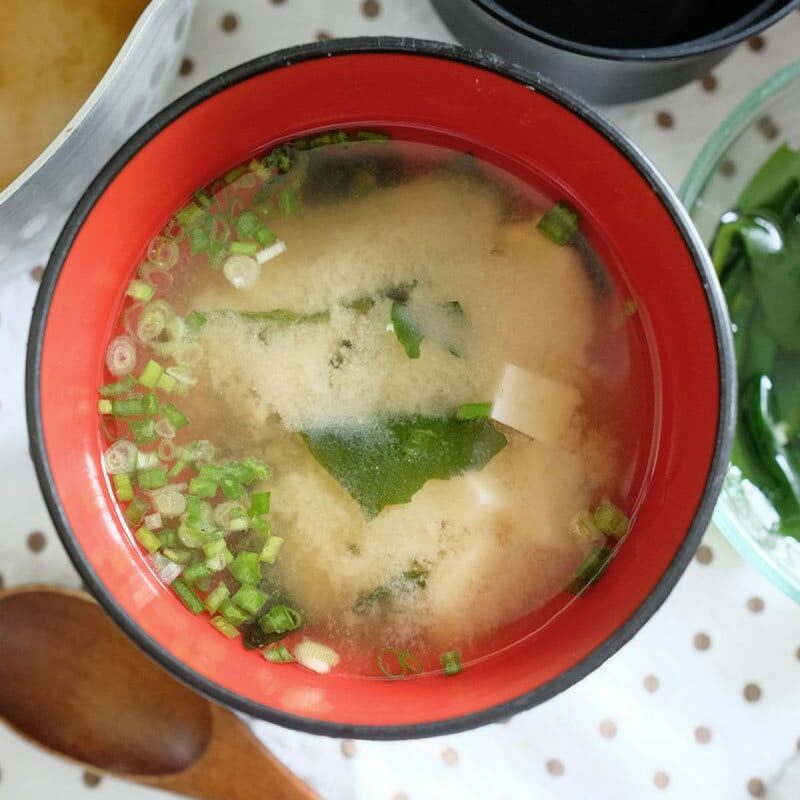 I prefer to refrigerate overnight to achieve the maximum flavor! Before serving, dust with cocoa powder and enjoy! Draw a small heart shape on a piece of paper and cut it out. Place in the middle of the cup and dust cocoa powder all over. 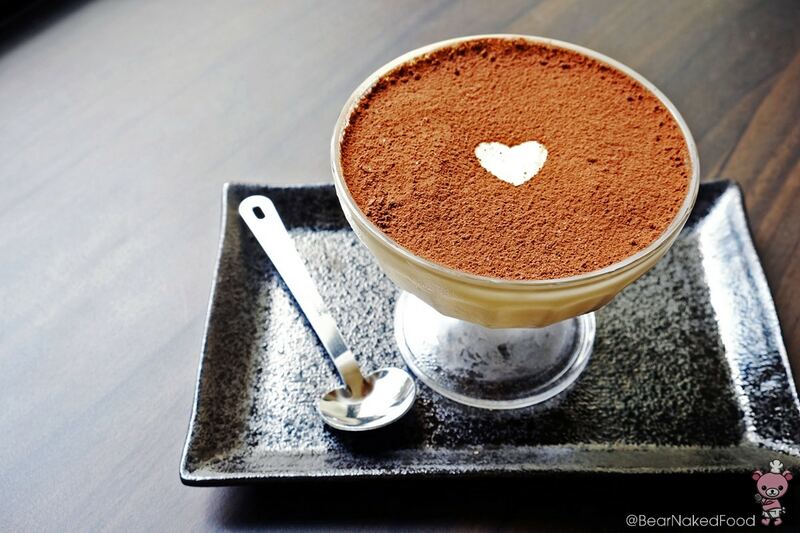 Remove the piece of paper heart gently and voila~ perfect as a Valentine’s Day dessert. 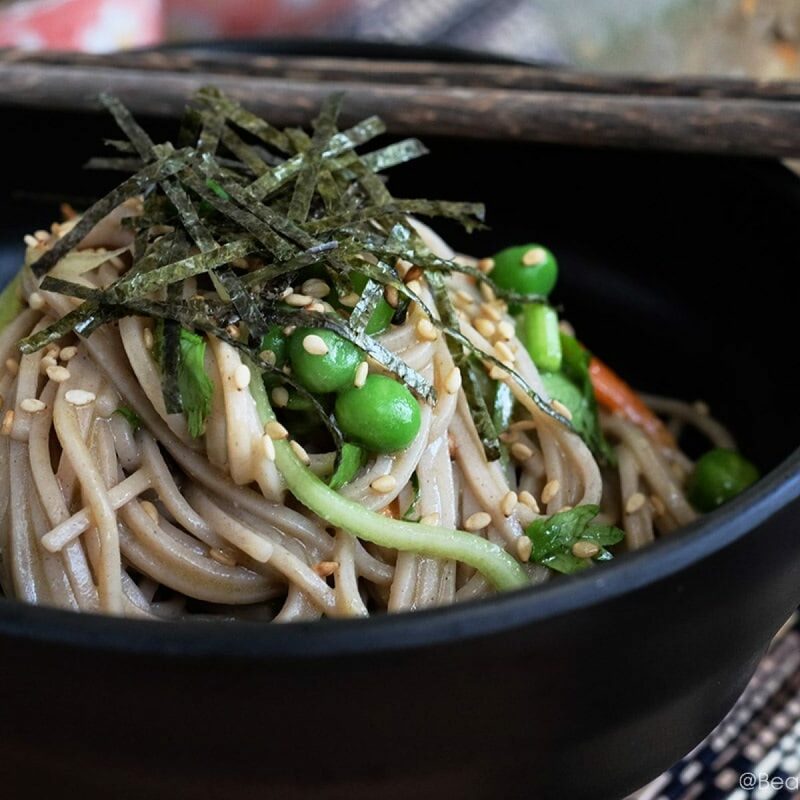 Whisk to combine and set the bowl over a pot of simmering water. 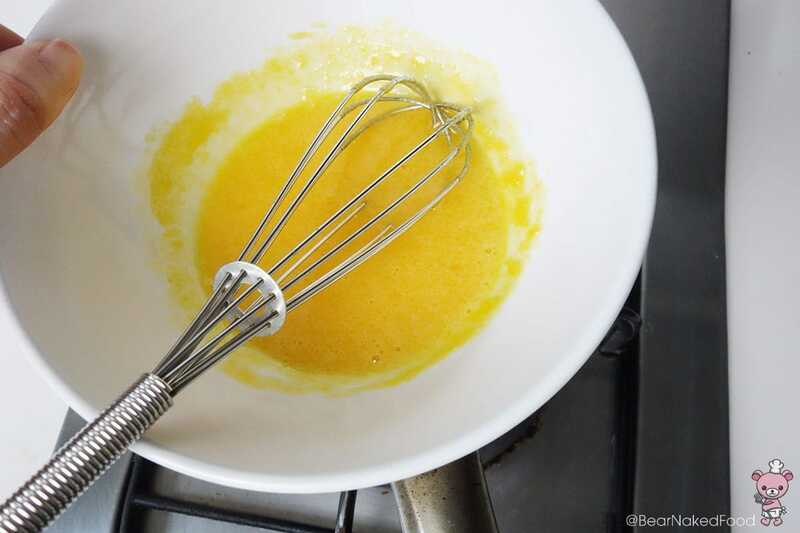 Whisk continuously for 5 mins until the egg mixture turns pale yellow and thick. 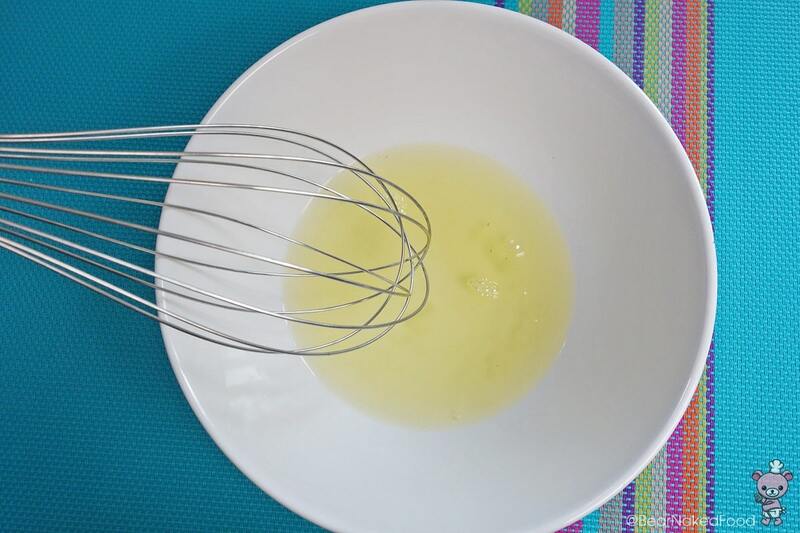 Remove from heat and continue to whisk for another minute. 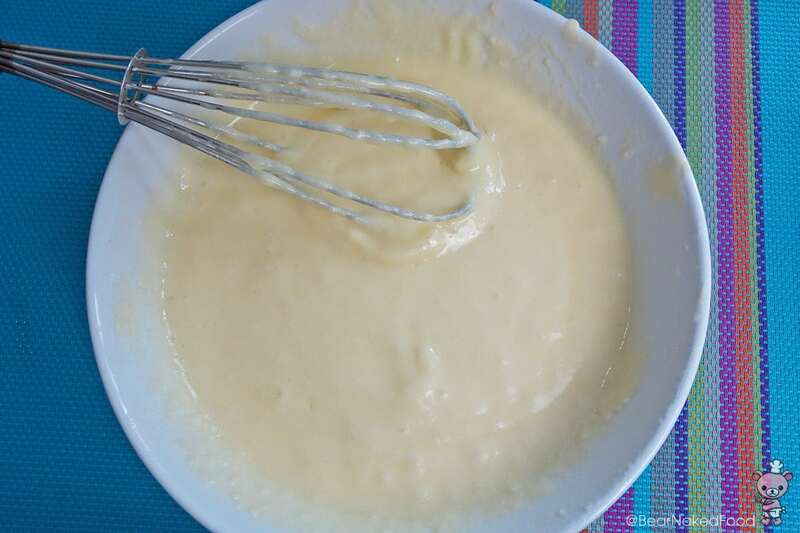 Add half of the egg whites to the mascarpone cheese mixture and gently fold and mix to combine. Add the rest of the egg whites and repeat same step. Top with some more mascarpone and ladyfingers. Repeat the same step and you should be able to achieve about 3 layers. The last layer should be the mascarpone. 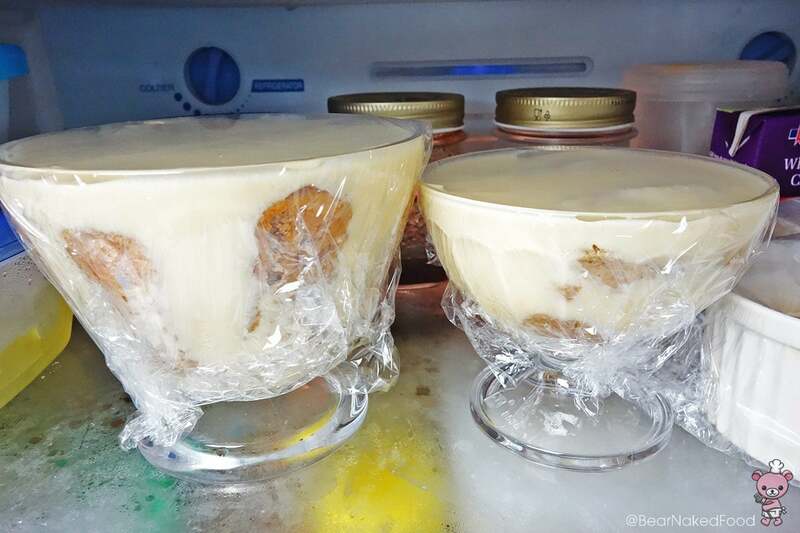 Cover tightly with cling wrap and refrigerate for 6 hours or best, overnight. 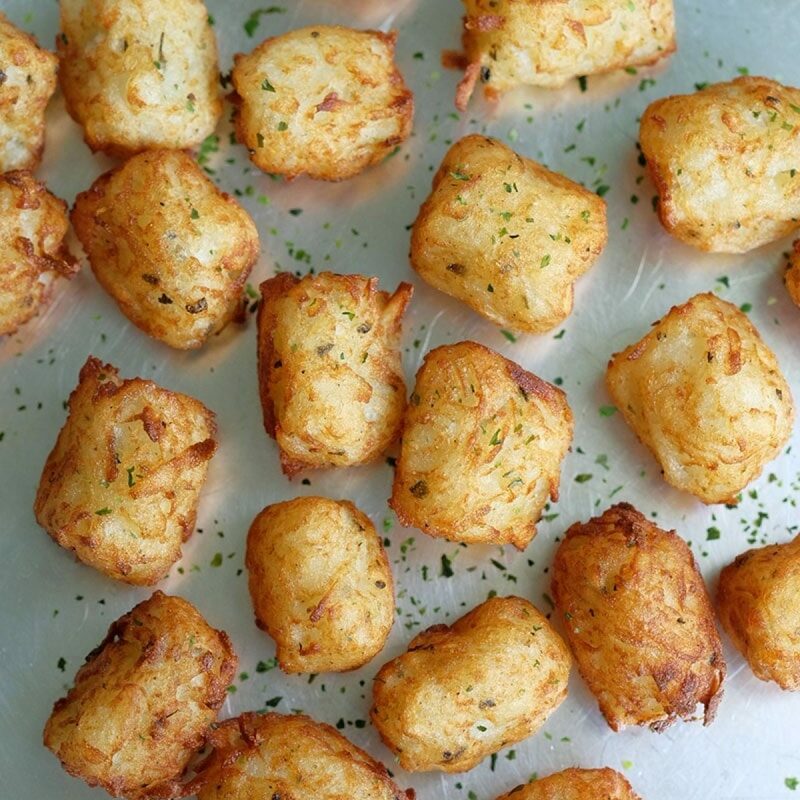 The flavor will be combined. Before serving, dust with cocoa powder and enjoy!